Winds out of the west have generated lake effect snow off of Lake Michigan. The lake effect snow has been more intense to the west of I-75, but some sporadic snow showers reached our area today. Drier weather is moving in tonight, and the lake effect snow will wind down. In Alpena, temperatures have been falling throughout the afternoon as gusty winds out of the west have been pulling in colder air from the Upper Plains. Any milder air is moving to the east this weekend, and colder air from the Upper Plains is moving into our area. 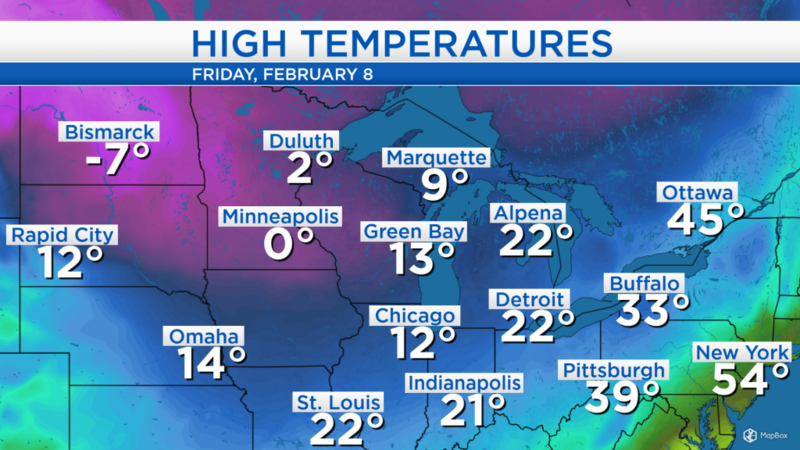 High temperatures today reached 13 degrees in Green Bay, 0 degrees in Minneapolis, and -7 degrees in Bismarck. Overnight low temperatures will drop to around 4 degrees. Temperatures will remain in the single digits during the morning, and the winds will weaken to about 10 mph. 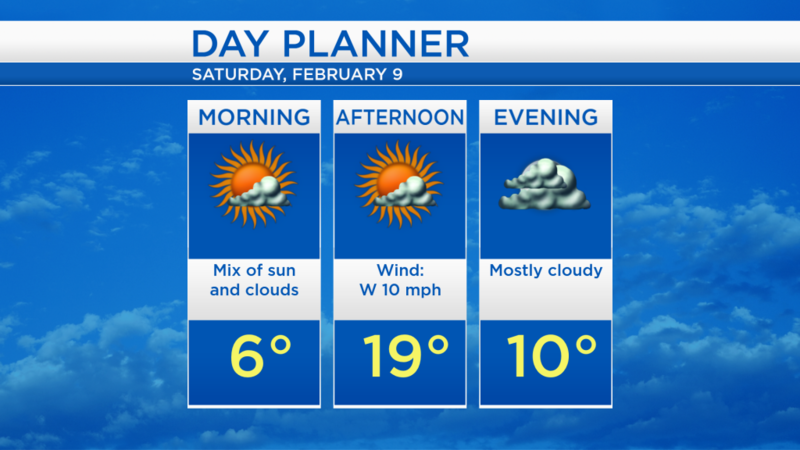 Throughout tomorrow, we will see mix of sun and clouds with high temperatures around 19 degrees. Sunshine will brighten the first part of this weekend with highs in the upper teens tomorrow. Clouds will increase by early Sunday, temperatures will warm to the mid-20s, then a few flurries are possible in the evening. Another day of dry weather and some sunshine is forecast for Monday with highs in the lower 20s. Early next week, a storm system will develop over the Plains then head toward the Great Lakes, bringing some snow for our area on Tuesday, possibly continuing into Wednesday morning. For the rest of Northeast Michigan’s weather forecast, watch the latest weather video by clicking the weather tab at the top of the page.